Depending on where it's located, and how yours is set up, this will mean removing the plastic lid, unbolting it or possibly having to free it using a claw hammer. Once you're in, what a sight you'll see. Grease - grease everywhere! If this sight leaves you nauseated - and it will do that to many - then don't despair. Get a restaurant grease trap cleaning service in to help. The next thing to do is to remove all that accumulated grease. This will mainly be done by scooping it out and into the waiting plastic bucket. It takes time and patience, and you need to be thorough. Once the bulk is removed, there'll be plenty of grease and scraps clinging onto various surfaces in the trap, including the sides, pipes (both intake and outlet) and baffles. The baffles help to direct the grease away from the outlet, allowing the water to flow away. As such they get plenty of grease contact and will need a thorough clean. 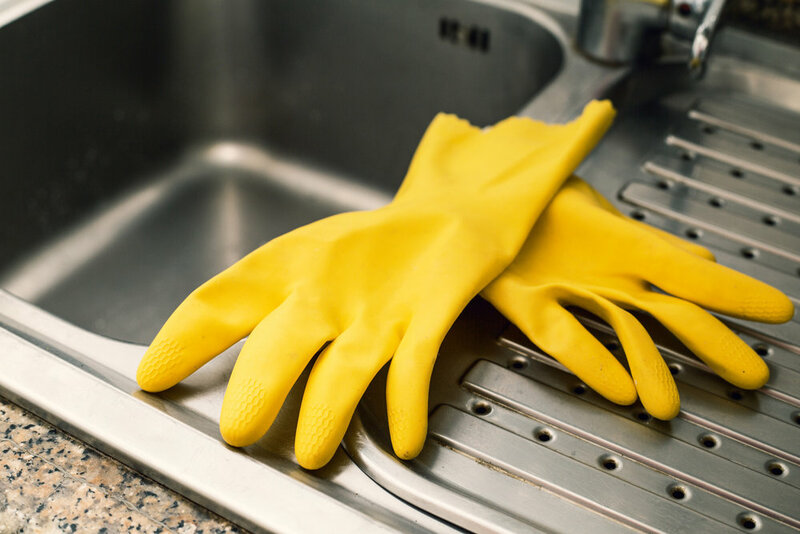 There's usually no need to use detergents - physically removing the grease will be sufficient. Once everything has been cleaned and scraped, it's time to check that there are no clogs or blockages in the pipes. Put the system on test by running a few gallons of clean water through it and observing how it works. If the water is able to flow through easily, then you're good to go. If the water starts backing up though, you've got a problem and need a plumber of grease trap cleaning service to come and clear the blockage in the affected pipe. The above process should keep your grease trap fully operational and give you minimal problems. However, this will only keep things ticking over if you have a regular cleaning schedule. Depending on how busy your operation is, you need to clean your grease trap roughly every 4 weeks. You may be able to push this to 6 weeks during quieter periods. However, there is no harm in doing it regularly, so set up a schedule and make sure it's adhered to. Getting a professional oil collection and cleaning company to come for regular, scheduled visits can take a headache out of this. It'll also minimize the risk of grease backups, which could lead to costly restaurant closures. Grease trip cleaning can't be left to chance - if you want to keep your business running smoothly, it's a vital part of your cleaning and maintenance routines. Learn more about how to choose the best restaurant grease trap on our blog today!